Today after class, we went for a walk around the Imperial Palace with one of our students to see the beautiful sakura, which were in full bloom. Hanami, which can be translated directly to “flower viewing” in Japanese is said to date all the way back to the Nara Period (710-794). However, this was mainly enjoyed by the upper class who had the privilege of being surrounded by such beauty. In recent decades, hanami has come to mean a whole lot more than just looking at flowers. 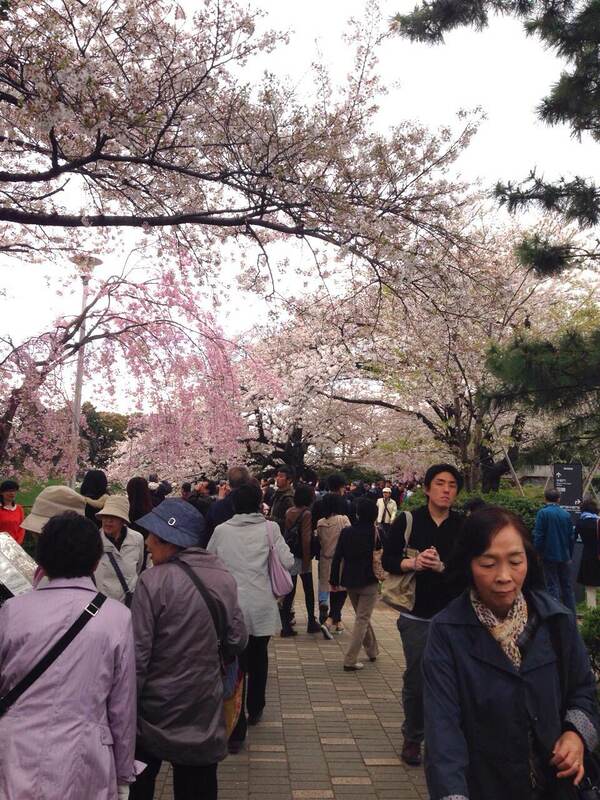 Anyone who has been to a hanami event will probably tell you that it involved a lot of eating and drinking. 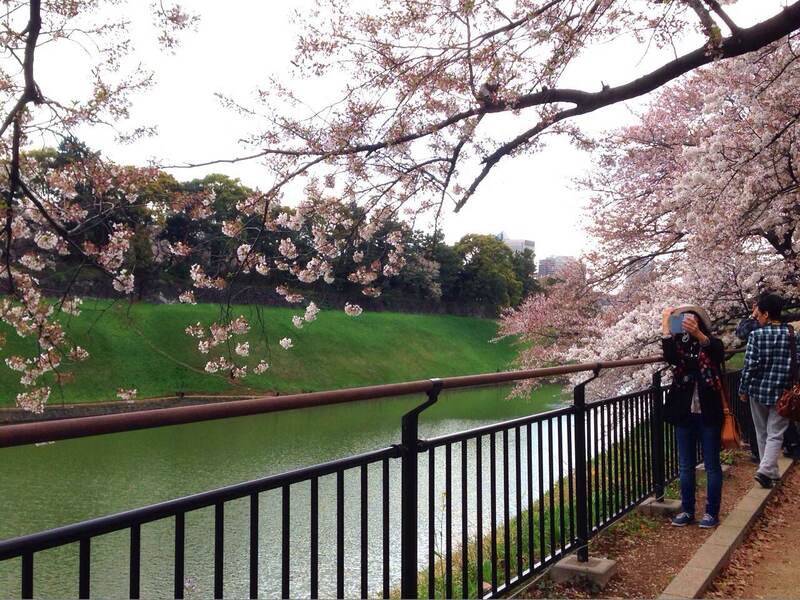 Even though the sakura may not be in full bloom, it doesn’t really matter! We hope that all of you reading this will take advantage of this beautiful weather. Go out and buy some snacks and drinks and enjoy one of Japan’s most-loved event of the year!